Horsham offers a cultural mix of heritage and state-of-the-art attractions. With the bustling Carfax at its heart, perfectly nestled alongside contemporary facilities including cinema, award-winning restaurants and high-quality shopping, Horsham caters for the whole family. A first-rate choice of schools and the finest sport and leisure activities makes Horsham a fabulous place to live. 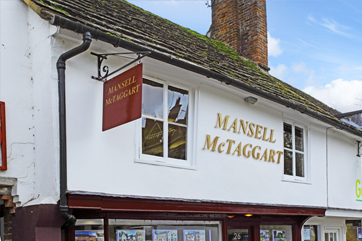 Whether you are seeking your new idyllic home, or considering selling your current property, here at Mansell McTaggart estate agents in Horsham you will find us a friendly, reliable and trusted partner. Covering the postcode areas of RH12 and RH13 we will fully support you in your search or sale, keeping communication open from the moment you chose to work with us right through to your completion. Professional and experienced, we have a dedicated estate agency team located in our Carfax office, at the centre of this charming market town. We work to develop a personal relationship with you, building an accurate understanding of your needs to ensure your buying or selling journey is as smooth as possible. With a wealth of local knowledge of the Horsham and surrounding areas, coupled with our marketing expertise, you can be sure of a truly unique service. Search for houses for sale in Horsham, flats for sale in Horsham, land for sale in Horsham or search all property for sale in Horsham. talk to them if you want to, don’t if you don’t!